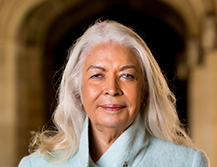 The Dungala Kaiela ‘Defining Goulburn Murray’ Oration is an annual event co-hosted by the Kaiela Institute and the University of Melbourne. The Orations have rolling themes examining culture, climate change, economics and regional development, legal issues, health and society. The aim of the Oration is to celebrate Aboriginal cultural identity, create a shared vision for the people of the greater Goulburn Murray region, and build bridges to promote Aboriginal social and economic development. The tenth annual Dungala Kaiela Oration was delivered by Dr. Moana Jackson on Tuesday 24th July at the Rumbalara Football Netball Club. Dr Moana is Director of Ngā Kaiwhakamārama i ngā Ture (the Maori Legal Service) and lecturer at Te Wānanga o Raukawa, Ōtaki. 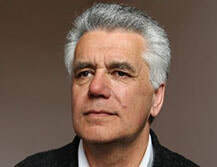 His lecture, At home on country, at home in the world, explores the United Nations drafting of Rights of Indigenous Peoples and its desire to allow Indigenous people to determine their own destinies. The eighth annual Dungala Kaiela Oration was delivered by Dr Martin Parkinson PSM, Secretary of the Department of Prime Minister and Cabinet on 17th August. 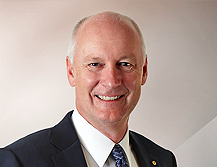 The seventh annual oration was delivered on country at the Rumbalara Football Netball Club on the 8th of July by the Vice Chancellor of the University of Melbourne Professor Glyn Davis. 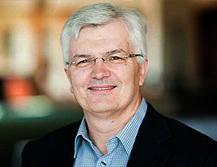 In his oration Prof. Davis drew on the work of figures such as William Cooper, Faith Bandler, Kath Walker, Noel Pearson and Paul Briggs to trace ideas that influence the empowered communities movement. Working through key moments in recent Indigenous history, Professor Davis explored the multiplicity of thought in Indigenous debates. On the night, the audience of over 200 were treated to a performance by Lou Bennett that included a poignant rendition of Kev Carmody and Paul Kelly's classic anthem From Little Things Big Things Grow. Following the keynote address, Bennett returned to the stage to close proceedings with a stirring duet with 9 year old Lillie Walker from the Dungala Children's Choir of Ngarra Bura Fera. The sixth annual Dungala Kaiela Oration was held on 28 August 2014 and was the first oration to be delivered at the Rumbalara Football Netball Club home ground in Shepparton. 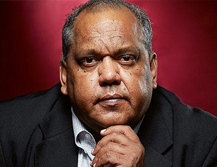 Noel Pearson, renowned lawyer, academic, land rights activist and founder of the Cape York Institute for Policy and Leadership, delivered a landmark address. Noel paid tribute to the heritage of Yorta Yorta leadership, and charted the path ahead towards Aboriginal self-determination, reconciliation and Constitutional recognition. Paul Briggs, Executive Chairman of the Kaiela Institute, and Prof Margaret Sheil, Provost of Melbourne University, made some opening remarks before Crystal Atkinson introduced Noel Pearson’s keynote address. Uncle Col Walker conducted the smoking ceremony, and Neil Morris conducted a Welcome to Country. An article in The Age covering the 2014 Oration can be found here. The fifth annual Dungala Kaiela Oration was held in June 2013. Peter Nash, Chairman of KPMG and board member of Reconciliation Australia delivered an outstanding address. Deborah Cheetham and the Wilin Centre team including Short Black Opera and Tiriki Onus also made a big contribution. The Dhungala Children’s’ Choir was a highlight along with Eric Brown’s didgeridoo opening and closing. 2013 Dungala Kaiela Oration Snapshot from Chris Giblin on Vimeo. 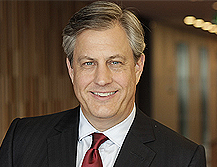 The 2012 orator was Brian Hartzer, Westpac’s then incoming Australian CEO. Brian has a long history with the financial inclusion agenda Paul Briggs has been prosecuting in Shepparton. 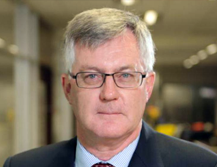 "This Oration is about looking back to help create a vision for the successful development of not just Aboriginal communities but the whole Australian community in the future,"
​- Brian Hartzer, CEO Westpac. 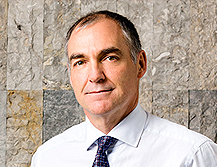 As part of Mr Eslake's speech, he discussed the current resource boom and how it could be used to establish a sovereign wealth fund to address long term issues including closing the gap between Indigenous and non-Indigenous Australians and building bridges to promote Aboriginal social and economic development. 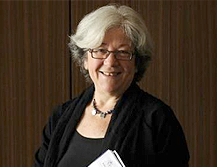 Dr Carmen Lawrence, former Federal Minister and premier of Western Australia gave the inaugural Oration. Dr Lawrence's speech, titled: 'The Prejudice of Good People', addressed covert racism with a focus on healthcare where covert racism undermines the relationships between providers and patients resulting in poor health acre for Aboriginal people. Dr Lawrence set a very high bar for the Orations to come.